Prince George Doulas - What is a doula? There is a lot of useful information here about doulas, but to truly find out how a local doula can help you, we encourage you to contact us! The word doula is an Ancient Greek word that translates as woman who serves. These days, birth doula is used to refer to a trained and experienced professional who provides continuous physical, emotional, and informational support to the mother before, during, and just after birth. Postpartum doula refers to a professional who is skilled in providing continuous practical and emotional support for families in the early postpartum period, as they adjust to the dynamics of life with their newborn. We have options for both types of doula care in our region. Check out our Birth Doulas and Postpartum Doulas pages on this site! In the book, Mothering The Mother: How a Doula Can Help You Have a Shorter, Easier, and Healthier Birth, Marshall Klaus, John Kennell and Phyllis Klaus summarize scientific studies which have been carried out on the advantages of birth doula-assisted births. The evidence cited is drawn from six randomized, controlled studies. Two studies were carried out in Guatemala, the first one with 136 women, and the second with 465 women. One study took place in Houston, Texas, in the United States with 416 women. A further study involving 192 women was carried out in Johannesburg, South Africa. The fifth and sixth studies were done in Helsinki, Finland and in Canada. All participants were primiparas (a medical term used to describe women who are giving birth to their first child). All participants were in good overall health and had had uneventful pregnancies. They were invited to participate when they were admitted into the hospital in labour. The Guatemalan doulas were trained in a 3 week course. In the South African study, the women who acted as doulas were untrained lay-women. The doulas were asked to stay with the labouring women constantly. They were instructed to use touch and verbal communication, focusing on three primary factors: comfort, reassurance, and praise. All of the doulas in the study had experienced regular labours and vaginal births. In the book, Nurturing the Family: The Guide for Postpartum Doulas, Jacqueline Kelleher summarizes the benefits and role of the postpartum doula. This changes from day to day, as the needs of the family change. Postpartum doulas do whatever a mother needs to best enjoy and care for her new baby. A large part of their role is educational support. They share information about baby care with parents, as well as teach siblings and partners to “mother the mother.” They also assist with breastfeeding education, and part of their role is to make sure that the mother is fed, well hydrated and comfortable. What is the difference between a postpartum doula and a baby nurse or nanny? The role of a postpartum doula is to help a woman through her postpartum period and to nurture the family. Unlike a baby nurse or nanny, a doula’s focus is not solely on the baby, but on fostering independence for the entire family. The doula is as available to the father and older children as to the mother and the baby. Treating the family as a unit that is connected and always changing enables postpartum doulas to do their job: nurture the family. The goal of a postpartum doula is to nurture the parents into their new roles. As they experience success and their knowledge and self-confidence grow, their needs for professional support should diminish. 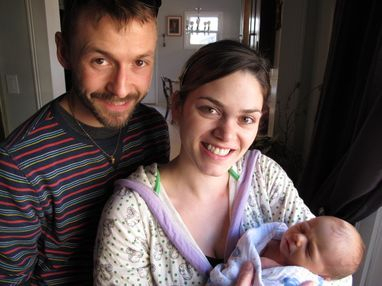 How does a postpartum doula nurture the parents into their roles? Self-confidence has a tremendous impact on a person’s ability to approach any task, and parenting is no different. DONA International postpartum doulas are taught to always consider parents’ feelings and always build confidence whenever possible. Doulas accomplish this through praise, acceptance and a non-judgemental approach. In addition, the postpartum doula will teach parents strategies and skills that will improve their ability to bond with their babies. A calm baby who is growing well will help parents to feel more confident in their skills. A postpartum doula respects the partner’s role and input, and teaches concrete skills that will help the partner nurture the baby and mother. The doula will share evidence-based information with the partner that shows how his or her role in the early weeks will have a dramatic positive effect on the family. How and when should I hire a doula? How? Check out the listing pages on this site or submit a contact form and we will get back to you! When? As early in your pregnancy as possible! Doulas carry a range of case-loads, so to get a space with someone with whom you feel compatible, it is important to contact them early. Plus, a doula really wants to get to know you, so she understands your preferences and what your expectations of her are. The more time that you have to foster that relationship, the better! How much does it cost to hire a doula? You will negotiate the fee with your doula, and this may vary depending on the services that you require. We are a close community of birth support here, so we try not to offer similar rates, but each doula also offers different services, so it's best to just contact the doula you are interested in, and go from there. We really try to maintain the vision of DONA International, which is A doula for every woman who wants one. In part, this means that financial limitations should never limit one's ability to welcome a doula to her birth. Arrangements can always be made to accommodate you. Most doulas are happy to tailor their services to your particular needs. The best way to find out about the services is to contact a doula and request a consultation. Doulas offer free consultations to anyone who is interested in their services or wants to know more about what they offer. We understand that you will want to feel completely comfortable with whoever you invite to share these special times of your life, so we encourage you to meet with a few doulas in the process of finding the right fit. What is the doula's scope of practice? The doula accompanies the woman in labour, provides emotional and physical support, suggests comfort measures, and provides support and suggestions for the partner. Whenever possible, the doula provides pre- and post-partum emotional support, including explanation and discussion of practices and procedures, and assistance in acquiring the knowledge necessary to make informed decisions about her care. Additionally, as doulas do not “prescribe” treatment, any suggestions or information provided within the role of the doula must be done with the proviso that the doula advises her client to check with her primary care provider before using any application. Standards apply to emotional and physical support only. The doula does not perform clinical or medical tasks such as taking blood pressure or temperature, fetal heart tone checks, vaginal examinations, or postpartum clinical care. If doulas who are also health care professionals choose to provide services for a client that are outside the doula’s scope of practice, they should not describe themselves as doulas to their client or to others. In such cases they should describe themselves by a name other than “doula” and provide services according to the scopes of practice and the standards of their health care profession. On the other hand, if a health care professional chooses to limit her services to those provided by doulas, it is acceptable according to the standards for her to describe herself as a doula. The doula advocates for the client's wishes as expressed in her birth plan, in prenatal conversations, and intrapartum discussion, by encouraging her client to ask questions of her caregiver and to express her preferences and concerns. The doula helps the mother incorporate changes in plans if and when the need arises, and enhances the communication between client and caregiver. Clients and doulas must recognize that the advocacy role does not include the doula speaking instead of the client or making decisions for the client. The advocacy role is best described as support, information, and mediation or negotiation. For client needs beyond the scope of the doula’s training, referrals are made to appropriate resources. Perform clinical tasks such as, but not limited to, vaginal exams, assessing fetal heart tones, or perineal massage. Diagnose medical conditions, offer second opinions, nor offer medical advice. Make decisions for the patient/client nor project their own values/goals onto the pregnant or labouring woman. Discourage the mother from her choices, including the choice for pharmacologic pain relief. Interfere with medical treatment in the event of an emergency situation. Some of the above information has been used and adapted from www.dona.org. Used with permission. Best wishes to you on the journey of parenthood! Check out the many birth doulas and postpartum doulas who are enthusiastically serving Prince George, BC! We welcome your feedback! If you have any questions, please feel free to contact us!